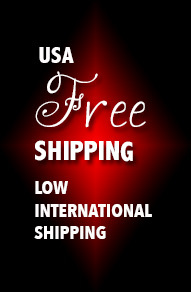 D'Lite is a brilliantly famous magic trick and is incredibly popular around the world. While your hands are empty, bright lights appear and disappear at your fingertips. Magically pass the lights from hand to hand, through solid objects or toss them to a friend. Easy for anyone to learn to do in minutes, spectators are always amazed at the magic of D'Lite. 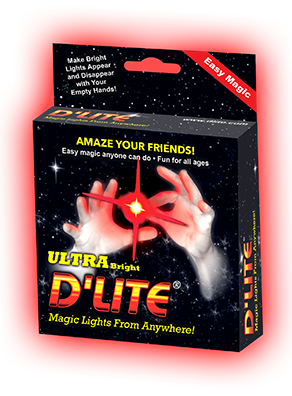 Professional magicians have used D’Lite for years, yet it is perfect for any beginner in magic. A versatile magic trick, D'Lite is easy to do. D'Lite is great by itself or can be used in more complex magic routines. 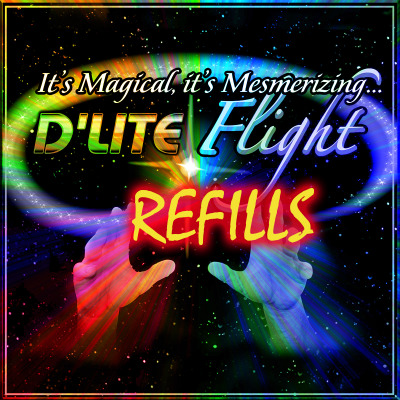 D'Lite will stimulate your imagination. Use D'Lite anytime, anywhere and leave a spectacular impression wherever you go. D'Lite can be used as close-up magic with many close-up routines. D'Lite makes a perfect addition to any Stage routine. FAQ Frequently asked questions & answers. Tips and Tricks Tips on performing with D'Lite. ROS Compliant & CE D'lites are certified & compliant. News & Press Release Around the world D'Lite News. My Account change your addresses, check your orders or change your personal info. Other D'Lite Products There are	3 products.